The WSIB are sponsoring Safety Groups in Ontario. They will give organizations additional rebates if a firm meets the requirements of the Safety Group they join. The Board requires that firms establish standards, communication, training, evaluations and acknowledge success for the elements. The rebates received are in addition to the current NEER rebates now being received. 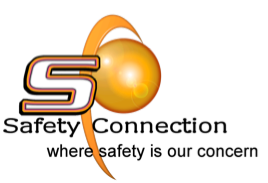 Safety Connection has experience developing health and safety programs to meet the safety group requirement and have already received $29,000 in rebates for one company and we can do the same for you. Please contact us today. It is essential to be able to identify hazards and conduct thorough inspections of your workplace. Our course provides practical tools to accomplish this goal. Know how to investigate all accidents correctly. Working in a confined space has special requirements. Make sure your employee know them. Equipment needs to be locked out properly for maintenance. We offer training to help you work safely with your equipment..
Find out what is new and upcoming with WHMIS and GHS. This Introduction is to the management and the Joint Health & Safety Committee. It is at this stage we get the approval of the committee to accept the new rules and regulations. From engineering works to light manufacturing and even office / laboratory based environments. Often only small areas of these organizations may pose a risk to health and the set up of simple safeguards and working practices can resolve any potential problems caused by elevated noise levels. Noise monitoring will determine the most suitable control method to reduce exposure of noise should it be required and enable you to select the most suitable ear protection for your workplace if engineering controls can not be incorporated. Reports will be issued detailing all findings from the noise monitoring / risk assessment along with necessary workplace changes that must be made and recommendations of what ear protection is required employee training may also be arranged.